5.1 earthquake hits eastern Honshu, Japan. 5.1 earthquake hits north of Halmahera, Indonesia. 5.0 earthquake hits southern Alaska. Poland’s battle to control highly contagious African swine fever (ASF) is turning into a political problem for the ruling Law and Justice (PiS) party. It’s the scale of the cull that’s causing the trouble. 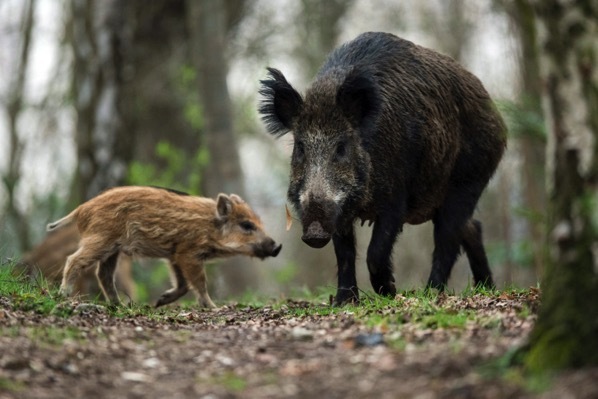 A total of some 20,000 wild boars will be killed over the next few weekends — bringing this season’s overall cull to about 190,000 — the government estimates the total wild population is about 214,000. The plan has galvanized a coalition of environmental groups, scientists and the political opposition. Polish Facebook pages are filled with cute pictures of boar piglets while the next few days will see protests in several Polish cities. The consumption of anthrax tainted meat has been linked to an outbreak of suspected Bacillus anthracis infections in Nzoka village, Momba district of the Songwe Region of Tanzania. Four people have died and some 77 people were sickened after eating the suspect meat.